Eurobodalla National Park is the traditional Country of the Yuin People. The park's landscape provided a rich source of food, shelter, medicines and weapons and continues to be an important place for Aboriginal people today. Walk the Bingi Dreaming track to follow the footsteps of the Brinja-Yuin People. Dreaming tracks traditionally linked the places visited by local Aboriginal people, then extended to connect other places utilised by neighbouring clans so that all Aboriginal people in Australia were connected by these unique highways. Bingi Dreaming track Head out for a day walk on the Bingi Dreaming track, a coastal walk that traces the ancient Song Lines of the Yuin Aboriginal people. Enjoy stunning views as you walk. Eurobodalla National Park provides an important habitat for a wide variety of birds, with 131 bird species having been recorded in the park. Estuaries and headlands within the park are important over-wintering areas for migratory birds, including 17 species of waders. In the summer, you may be lucky enough to see little terns nesting on the ground on sand islands, sandspits and dunes. If you do, please take care not to disturb this precious bird. You may also catch a glimpse of a sooty owl roosting in eucalypt forests in deep moist gullies, or the hooded plover which was only recently recorded in the park with potential threats similar to those of the little tern. The period from the 1840's to the 1900's saw a rapid development of the area as a result of several often short-lived gold rushes, the growth of more intensive pastoral and agricultural land uses, and the expansion of timber getting activities. Many small towns grew up throughout the area, often acting as transport hubs and points of supply for surrounding districts. South Head at Moruya has many reminders of the important role shipping played, including several breakwaters and training walls that guided shipping through the river mouth, as well as the pilot's cottage and several smaller buildings situated on the headland. 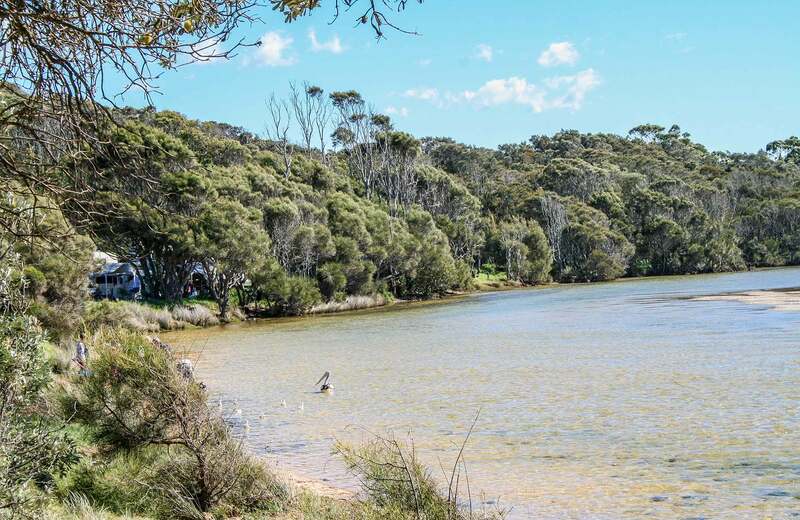 Eurobodalla National Park contains a range of aquatic environments, including lagoons, lakes, estuaries, sheltered and wild beaches that protect a wide variety of plants and animals. For visitors, these aquatic environments offer a huge range of water-based activities, like waterskiing and boating at Corunna Lake, fishing and swimming around Mullimburra Point, surfing at 1080 Beach and paddling on Brou Lake and around Lake Tuross. It's the perfect place to visit during the summer holidays.